The Conti™ SoSoft is a heavyweight patient cleansing wipe that offers durability and extra softness for gentle and pleasant cleansing. The wipes are soft yet durable, making them ideal for use on sensitive skin. 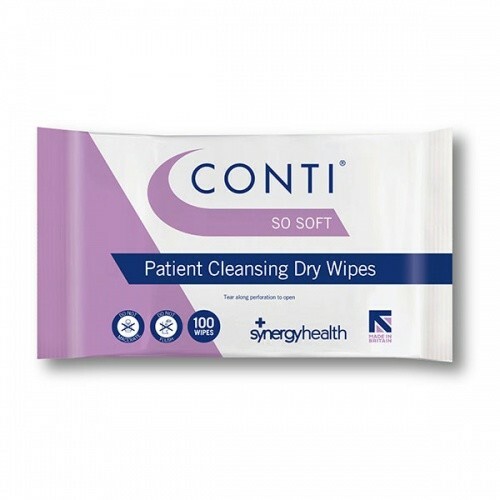 Conti SoSoft wipes are highly absorbent and are enriched with Polypropylene, Viscose and Cotton, and are compatible for use with the Clinisan cleansing foam. Conti SoSoft Skin Cleansing Dry Wipes can be used for bed bathing, personal cleansing and continence care.